Cruises Tours - Yacht Charter Maiori. Maritime Shipping to the Amalfi Coast and Capri. The Amalfi Coast on Boat. A trip to enchanting destinations. The Amalfi Coast is known all over the world , Amalfi, Ravello, Maiori, Minori, Positano, Praiano, Vietri sul Mare, Cetara, Furore and Scale are the places that capture everyone. "Full day excursion by boat! 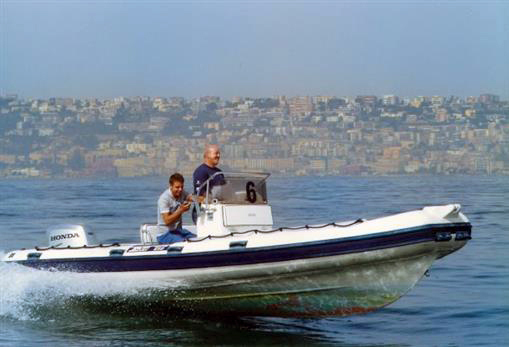 Embarking from...at 09.30 a.m. towards the beauty of the Amalfi Coast and its treasures! Along the way to Capri we see round Sulfuria's Grotto and Pandora's Grotto, Furore, Emerald Grotto and than Positano. Once in Capri, our programme is quite flexible, you can have a full tour of the island, by sea or you can visit the famous Piazzetta! It's so easy just get in touch with us and we plan you time in the best way!!!" Amalfi, known as the Maritime Republic, is the centre of culture and history of the Amalfi Coast. View from the sea you ody can admire its beauty, and among the historic buildings peek out on all the Bell tower and facade of the Duomo, (Cathedral of St. Andrew). Passing By promenade, where are located typical restaurants overlooking the beach, you reach its panoramic harbor. 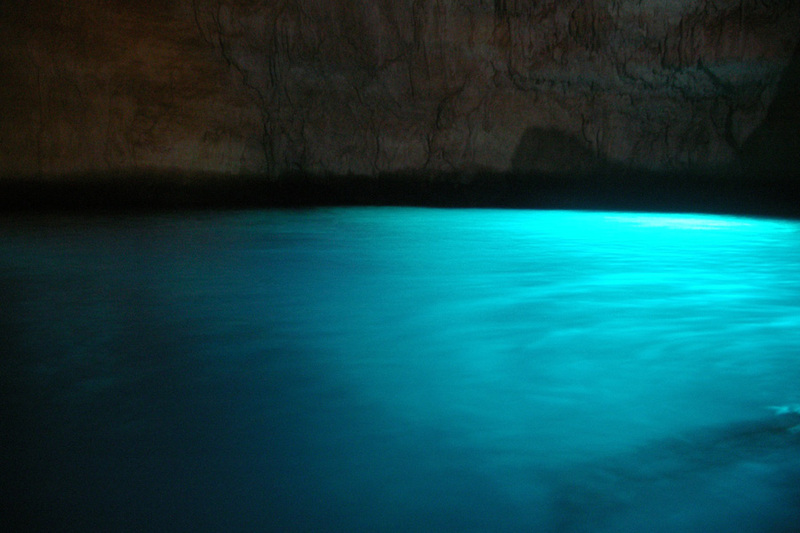 The Emerald Grotto, Conca dei Marini. The Emerald Grotto is a small karstic concavity karstic in one of the coastal inlets of the bay of Conca dei Marini. Due toits location, and its particular morphology, can be visited only by boat. Its name comes from the emerald green color of its clear waters, a phenomenon due to the sun's rays filtering through the cabinet slots. Furore is a natural reserve located below a road bridge suspended hundreds of feet. Its valley is composed in part by the sea, that, due to the continuous lowering of the rocks, reached the interior part of the coast. 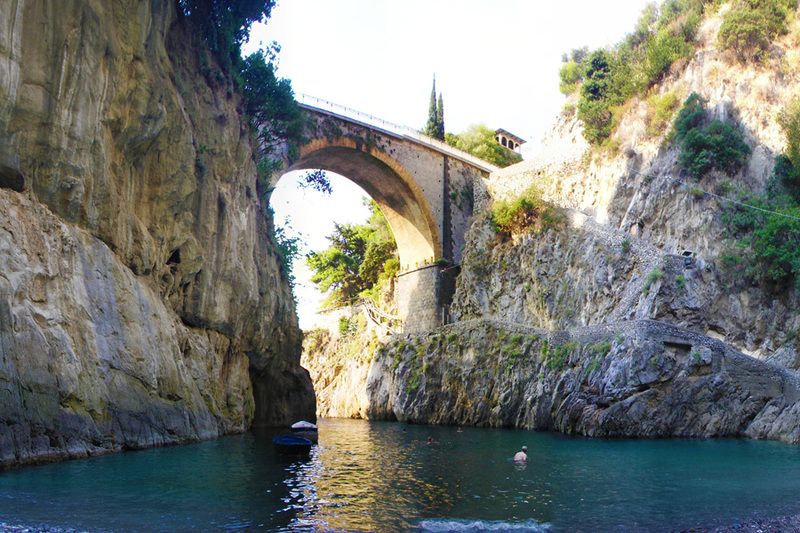 The river Schiato is in the center of Furore, created a coastal corner of rare and unique identity. This is due, without any doubt, to the ability of the local creative artisans who have exported all over the world their Moda Mare Positano. 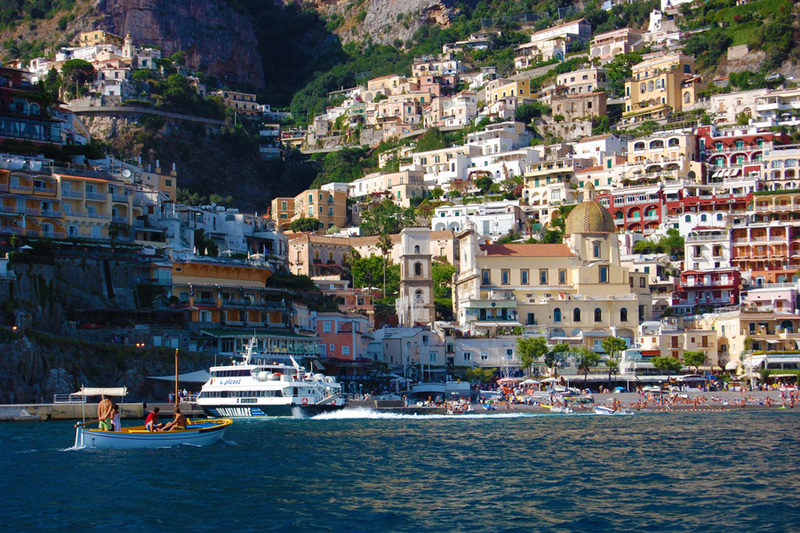 View from the sea, Positano is full of natural nuances and typical houses overlooking the beach. A short distance from the coast, you can also find the archipelago of Li Galli.